View Attorney General Opinions and Open Records Decisions from the official Attorney General of Texas Web site.. 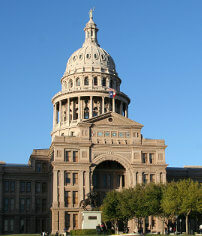 The Texas Administrative Code is the compilation of all state agency rules in Texas. The Texas Register serves as the journal of state agency rulemaking for Texas. Law Guru – Allows you to directly search more than 160 legal search engines and tools from one location. Findlaw – One of the best legal research sites available. Sponsored by Cornell University. Everything you could imagine is here.